I get so many questions about essential oils and whether they are safe during pregnancy. I think this is a personal decision and in no way claim to be qualified to tell you one way or another but I can tell you I used essential oils throughout both my pregnancies. I slathered Gentle Baby blend from Young Living over my tummy daily with the intent that it would keep hormonal depression and anxiety at bay. I found the smell so uplifting and the shear ritual of it seemed to boost my mood. I had a dull but persistent nausea throughout both pregnancies and found some relief by inhaling lemon, peppermint or lavender. I often added lavender to my baths. However, I did not use essential oils during birth simply because I did not have the knowledge I have now thanks to the book, Essential Oils and Childbirth which I talk more about at the end of this post. 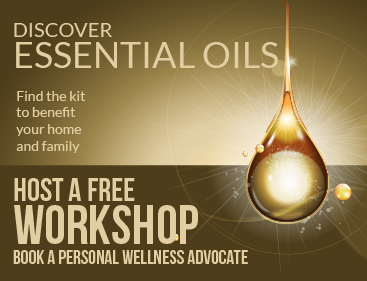 I believe you must do your research and determine for yourself whether essential oils feel right. In this post, I aim to give you basic information on what oils help with common pregnancy issues as well as which oils are safe and which are not. I feel it is important to have this resource on my blog. Because pregnancy can cause your sense of smell to be heightened as well as your skin to be extra sensitive, I suggest being cautious until you know what you can handle and are benefiting from. Diffusing is the most used method of benefiting from essential oils while pregnant. Diffusing can relieve stress as well as uplift the mood. Inhaling, for me personally, was the quickest way to get relief while feeling nauseated. This method is a bit more controversial. I applied oils undiluted to my belly. Granted, they were safe and gentle oils but I felt that was right for me. If you have any trepidation at all, you can always dilute oils with a carrier oil such as sweet almond oil or coconut oil! I found this list HERE. Ethers: Aniseed, Fennel, and Anise Star all contain strong phenyl menthyl ethers that aren’t recommended for a prolonged period of time, especially during pregnancy. Ketones: Sage and Hyssop contain ketones that are not easily metabolized by the liver and can build up in the body with long-term use. Phenols: Oregano, Thyme, Savoury, Clove, and Cinnamon contain high levels of phenols, a powerful essential oil component which can cause skin sensitivity. Aldehydes: Cinnamon and Cumin contain aldehydes that can cause skin sensitivity. Camphor: Feverfew, Ho Leaf, and Lavender (Spanish) contain camphor, which is toxic in high doses. If you are pregnant, I suggest getting this amazingly informative book called Essential Oils for Childbirth. Anxiety before and during birth can be overwhelming and have a big effect on how your body births. Plus, the author shares her own birthing stories and how her and her husband were able to team up during birth to make contractions easier. I was so touched by how they became bonded during each birth due to his role in massaging essential oils into her back during each and every contraction. She includes several recipes of blends she’s not only personally used but at one point sold to midwives and even hospitals. You could say these recipes are tried and true. This book not only covers how to use oils during birth. It also talks about oils during pregnancy, baby massage, how to incorporate essential oils with newborns and even how essential oils may lower your risk of a C-section. The author, Michaela Boldy is a registered nurse, certified aromatherapy practitioner, certified infant massage instructor, and the mother of four children. I highly recommend it. Plus, use coupon code OILS30 for 30% off this book which also come in an e-book! Find it HERE. Since I’m not pregnant and don’t plan to ever be again (lol), I wanted to list a few articles that are more in-depth then this one so you would have plenty of information. I loved THIS post. It covered much more then mine and talked about nursing. Mommypotamus is always a reliable source-read her post HERE. I also found THIS post on morning sickness that is full of info. and remedies I did not know of when pregnant! I hope this post has shed some light on how essential oils can be of great benefit during your pregnancy and birth. High quality oils are a must, especially when used during pregnancy or on babies. I highly recommend Mountain Rose Herb’s organic, non diluted oils. Not only are they of the highest quality, they are responsibly sourced and affordable as well as easily attainable! Previous articleCBD isolates are off the menu (for now), but what about hemp extracts? And should you mention ‘CBD’ on pack?